A scattering of colourful silk tweeds brings an exciting colour contrast to the Sami wool socks. 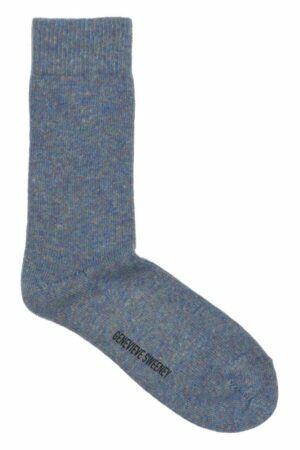 A luxurious sock crafted from a wool-silk blend plated with lycra to give a comfortable soft fit with great stretch and recovery so they don’t lose their shape. The socks are beautifully soft against the skin, and seamless toes ensure ultimate comfort. The Sami combines pink wool with multicoloured silk tweeds in orange, blue and rose pink.